As the saga of London rioting and social media blocking continues, the British government is calling in the spooks. They're now summoning MI5 and GCHQ to help not block but track the messages that might be the root of the trouble. Christ. 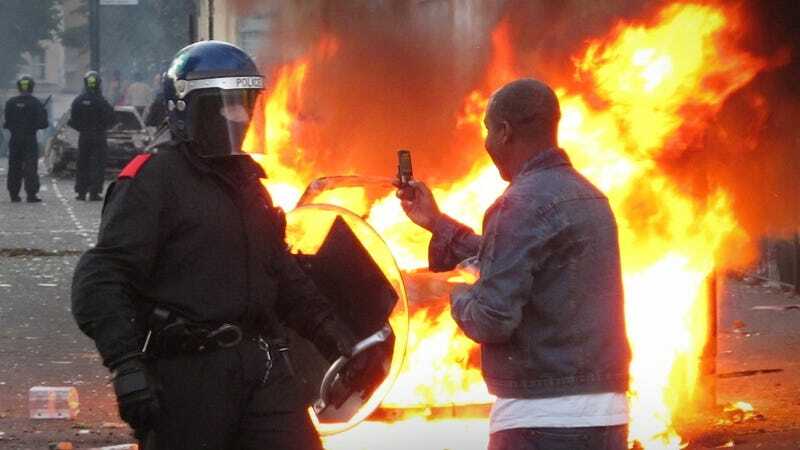 As if Prime Minister David Cameron's plan to block social networking wasn't enough, British military intelligence and the Government Communications Headquarters will work in concert to try to track down riotous dissidents broadcasting calls to violence. That includes cracking BBM messages that would otherwise be secure behind the BBM network. Right, as that worked so well before.